I am very pleased to see the excellent coverage the Chinese launch of the De Klerk Signature Wines Presidential Blend has received in the Chinese media. The wine is a joint venture between former South African President Mr FW de Klerk and Leopard’s Leap Wines. 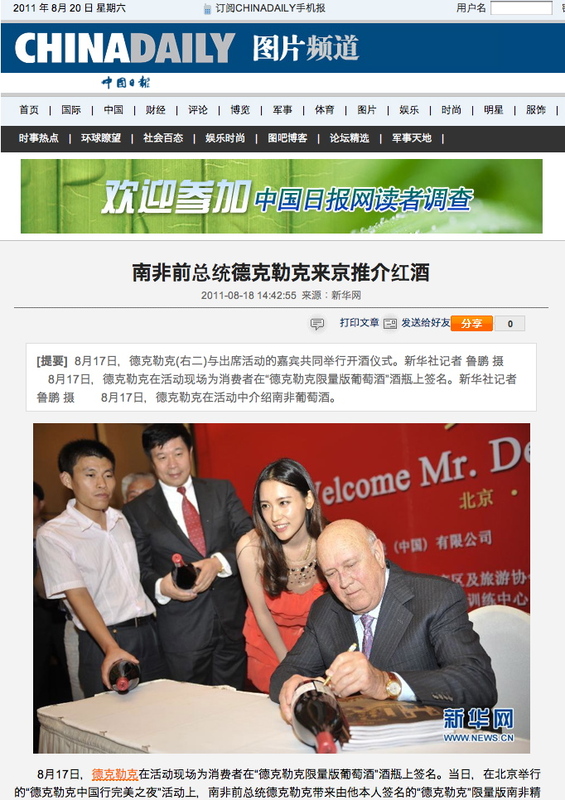 Above is the article that appeared in the ChinaDaily along with a photograph of Mr De Klerk signing a bottle of his wine.